Home / News / Trending Article / Trending Events / Trending News / Trending Updates / Updates / Viral / Viral Article / Viral Events / Viral News / Viral Updates / PANOORIN! Hong Kong KADDS : "Let's stay united, let's fight for our country, let's fight for ourselves, and let's fight for the President..."
PANOORIN! Hong Kong KADDS : "Let's stay united, let's fight for our country, let's fight for ourselves, and let's fight for the President..."
#OFWLove. 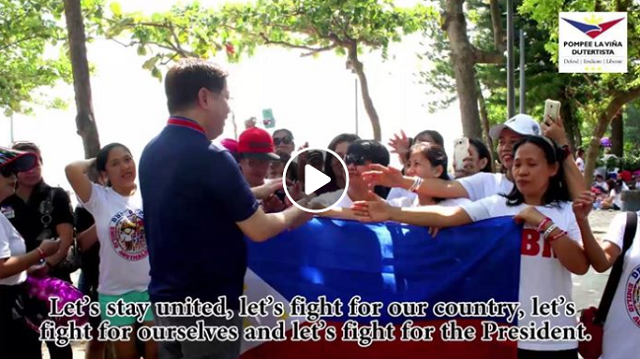 SHARE & LIKE OUR PAGE if you agree: “Let's stay united, let's fight for our country, let's fight for ourselves, and let's fight for the President."